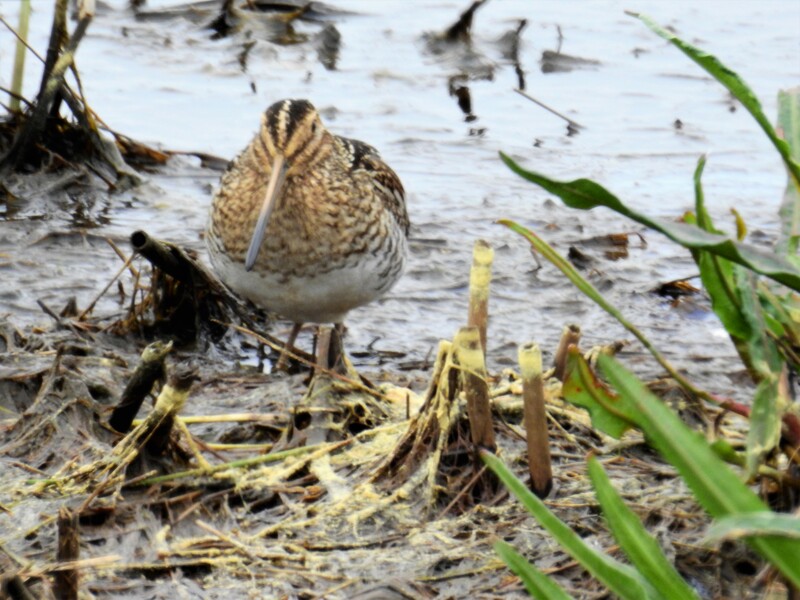 Wilson’s Snipe (Gallinago delicata) is a small, stocky shorebird. They have short greenish-grey legs and a very long straight dark bill. The body is mottled brown on top and pale underneath. They have a dark stripe through the eye, with light stripes above and below it and pointed wings. The word “sniper” originated in the 1770s among British soldiers in India who hunted snipe as game. The birds are still hunted in many countries, including the U.S., though their fast, erratic flight style means they are difficult targets. Researchers have done wind tunnel tests with Wilson’s Snipe feathers to try and duplicate the “winnowing” sound that’s made as birds fly with their tail feathers fanned. They found that it’s the outermost tail feathers, or rectrices, that generate the sound, which apparently happens at airspeeds of about 25 miles per hour. 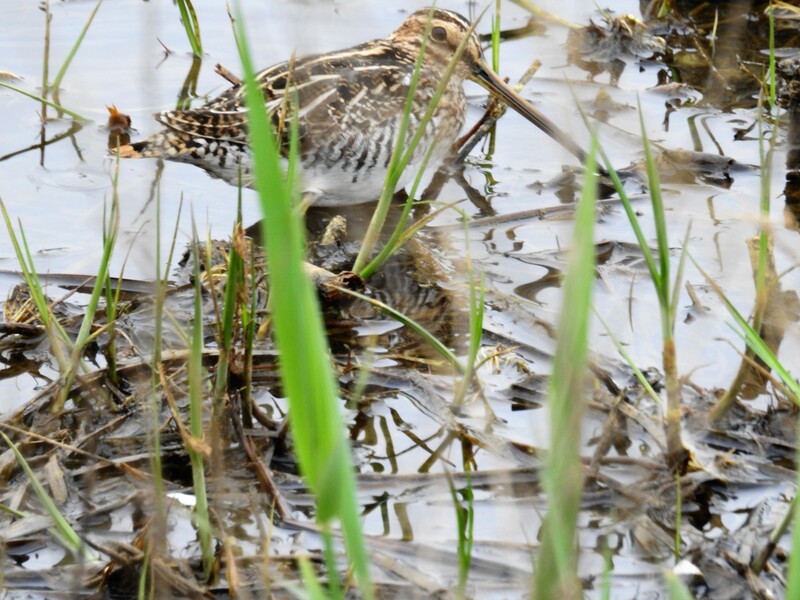 Although only the female tends the eggs and nestlings, Wilson’s Snipe parents split up the siblings once they’re ready to fledge. The male takes the two oldest; the female takes the younger two with her. After they leave the nest, the mates have no further contact. 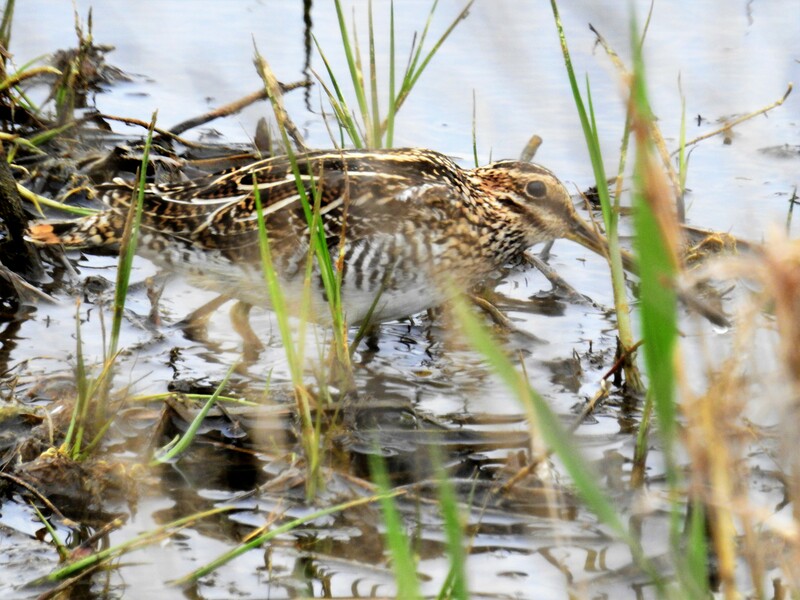 The oldest known Wilson’s Snipe was at least 9 years, 3 months old, based on a band recovered from a bird that was shot in Newfoundland and Labrador, Canada.